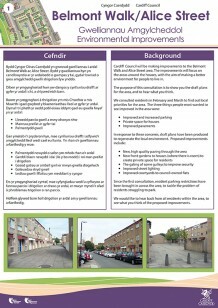 Improvements are helping transform the Belmont Walk and Alice Street area of Butetown. 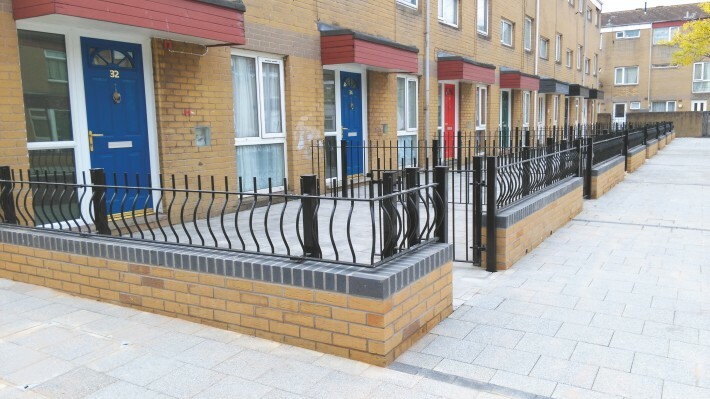 The improvements focus on the areas around the houses and flats, with the aim of making a better environment for people to live in. • New front garden space areas and boundary walls for houses. • New, high quality paving throughout the area. • Gating of some gullies to improve security. 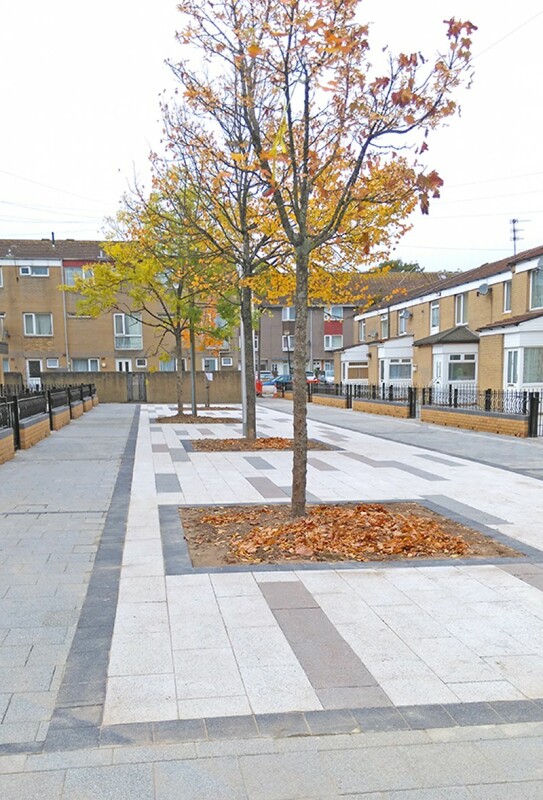 For Phase 1 of the Belmont Walk and Alice Street environmental improvement scheme, work is now complete. 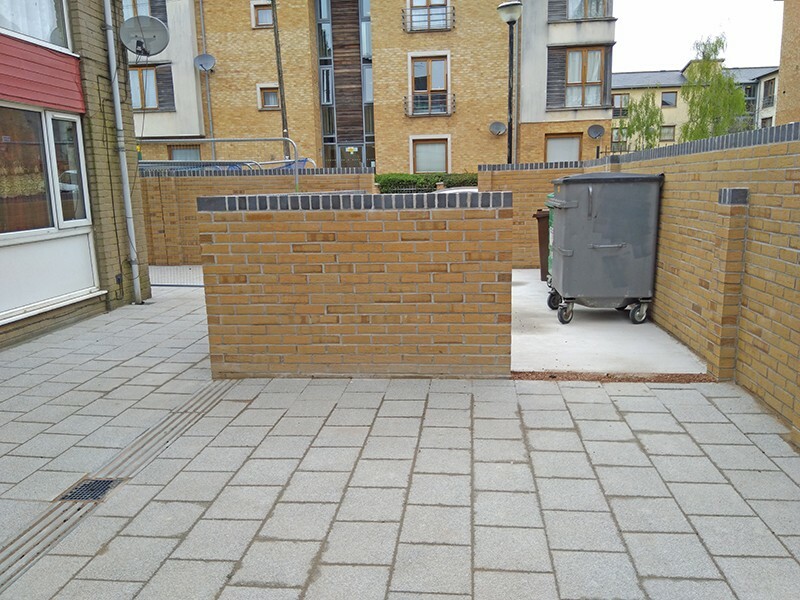 All three courtyards for the block of flats have been completed. 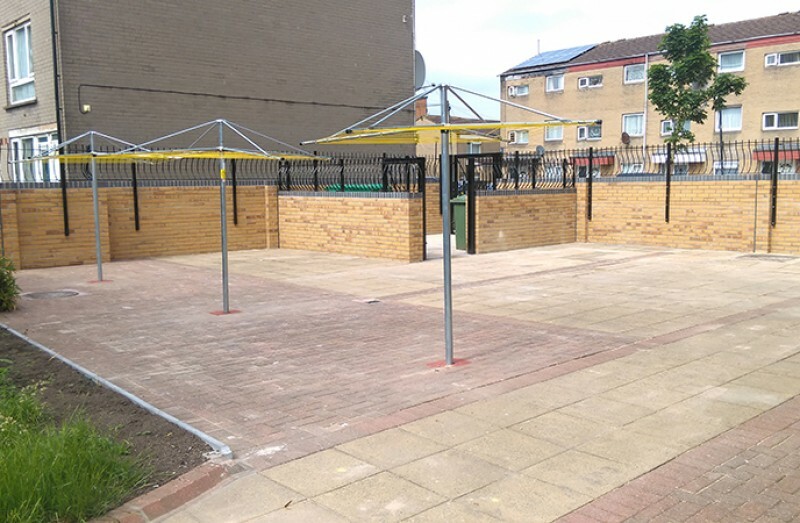 The new courtyard areas have received new paving, brick walls and railings which enclose designated areas for washing line facilities and storage bins. Work is progressing well on Phase 2. 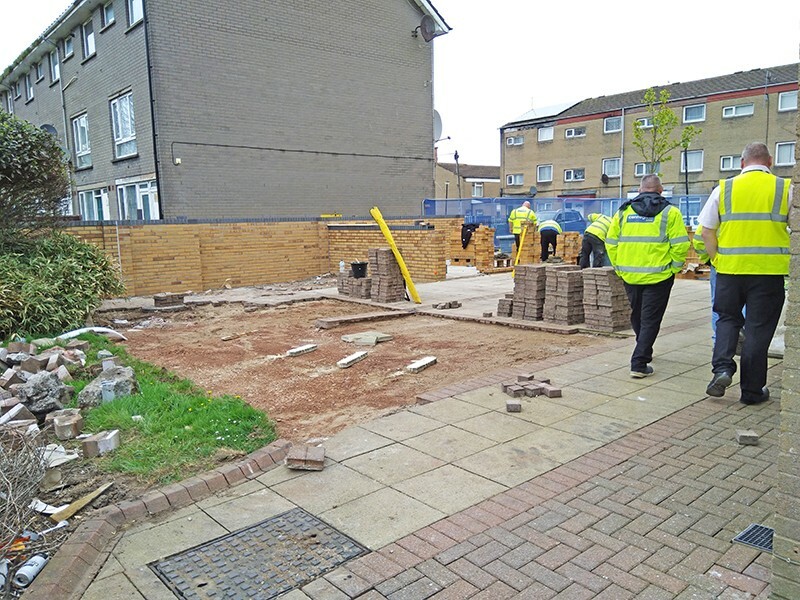 The local environment will be significantly improved with high quality paving, new front garden areas and gating of pedestrian gullies to improve security within the area.